I think people who are lone criers, are very mature and responsible because they remain firm and supportive when other people cry. I appreciate as you are lone crier but I wish such a situation never happens so that you have to cry. 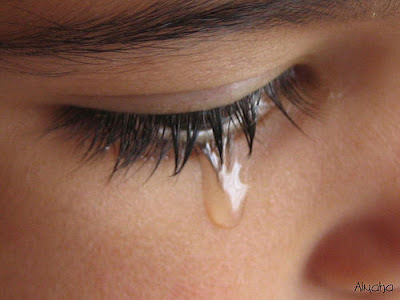 emotional crier rather than who fake by shedding tears at any small or big incident. yap i agree that lone crier's are mature crier's bz they dont cry for attention or sympathy..but there's one problem with them they end up thinking that they are all knowers abt everything and will solve it. So they stop sharing it wid ppl and keep adding burden on themselves... in due time they get stressed out.